The gym is open but is doing very little trade. It has been closing half an hour or so before the advertised time, presumably because no one is using it. Lambeth's own research showed that the gym is not needed. People who know about the market for gyms have been telling us all along that the location is wrong for a gym and that it will fail to cover its running costs. Lambeth have made the gym even less appealing by charging a sky high subscription of £40 a month. The nearest comparable commercial gym appears to be Puregym near Camberwell Green. This charges £23 a month, reduced to £18 a month if use is confined to the less popular times, comprising weekends, early afternoon during the week and night time. According to the senior ward councillor, Jim Dickson, Lambeth are due to consider the future of the gym 12 to 18 months after opening. They are bearing all the losses and there cannot be much doubt that they will close it. The interesting question is what will then be done with the windowless basement excavated at great expense. The rental estimates per square foot obtained by the Friends and the Council respectively are a mere £1.50 and £2.50, which is hardly worth the cost of letting and management. Readers who have been following the history of this matter, will be aware that excavating the basement has been part of Lambeth's plans since at least 2011, though the reason for the excavation has never been disclosed. Possible uses for the basement, including a gym, were considered but all were rejected. The excavation of the interior and underpinning carried out at great expense only begins to make sense if it is the first stage of a two-stage process. The second stage would be excavating externally and inserting windows in the basement. This would entail the loss of the front garden. But even if this were done it would not be a good reason to excavate the basement. The only plan previously disclosed by Lambeth which would justify the excavation is the one announced in 1999, that is, sale of the building for redevelopment as flats. Other aspects of the recent work also suggest that those designing it are working towards a conversion to flats. Until a late stage Lambeth were proposing that the internal excavation would be only 2.7 metres deep, which would be enough for basement flats but obviously impractical for gym activities. Conversion to flats would involve building a large extension on the rear of the building and the Council appear to have eased the way for this by destroying as much as possible of the back garden. We should be ready to campaign against any proposal to excavate the exterior because this would not only be objectionable in itself but also further step towards depriving us of the library. We were very sad to hear of the death of Iris Fudge, a founding member of the Friends. Iris was born July 25th 1927 and lived all her life in south London. The first time I saw Iris was at the public meeting in the library on a Saturday in January 1999 attended by 300 people, when Lambeth announced plans to close our library and four others, sell off the buildings and retain five town centre libraries as “centres of excellence”. Iris faced the top table, challenging councillors and officers with hard questioning and cogent arguments. When the officials left, fobbing us all off saying “we’ll make a note of your comments”, several, including Iris, signed a contact sheet and went on to form Friends of Carnegie Library. That March at our first general meeting, Iris was elected onto our first committee. Over the years, Iris and her husband Sidney remained stalwart members of the Friends and attended events and AGMs as long as their health permitted. Sadly, Sidney died over a year ago, and Iris’s health failed. Even when bedridden, she took a keen interest in the library. When members looked in on her or stopped by to deliver newsletters, she asked what was happening and what she could do to help. Other organisations Iris supported included Amnesty International and various health, research and women’s issue groups. Iris passed away in her home in Dorchester Drive on January 1st 2019, aged 91. She will be greatly missed. In 2011 Lambeth Council set up a Project Group for the library building, which subsequently turned itself into a Shadow Trust Board and eventually the Carnegie Community Trust. The Council is intent on transferring the ground floor of the building and the first floor room to the Trust by way of a long rent-free lease. The ostensible purpose of setting up the Trust and its predecessors was to replace Council funding with grants from outside bodies. However, none of those bodies will provide funds for a public library. They take the view that funding libraries is the responsibility of local government. The Trust have been telling local people that there will still be a proper library but telling grant-making bodies that there will not be a proper library! The extent to which the building is and can be expected to remain a public library. The library use is and always has been the main use. The current indications from Lambeth Council are that they will require this to continue for the foreseeable future. Past and future activities in the building. Supposed community and other support for the Trust. We have therefore written to the Fund pointing out inaccuracies in the application. Herewith are copies of our letter and a plan and email correspondence sent with it. The Green Party recently put a written question to the Lambeth Cabinet Member responsible for Libraries, Sonia Winifred. The Friends' experience of Sonia is that she does not lie. She might tell us only part of the story but the part she tells is likely to be accurate. The answer is therefore worth considering. The answer informs us that there will be as much "community space" as before and that there will be a "library service" comprising library activities in the space from time-to-time. Previously Lambeth were using the term Neighbourhood Library to include token services which no reasonable person could call a library, such as the alcove containing 500 books in the Railway Tearoom in Streatham Vale. It is good to see that Sonia appears to have ditched this grossly misleading term, with its connotations that there would be an adequate stock of books and some space set aside for a library. For more than a year the Friends have been telling anyone who would listen that Lambeth have not committed themselves to providing a library only often to be told that we have got it wrong. We can now hope that everyone who is interested will accept that they need to join in campaigning for a library. A less welcome aspect of Sonia's answer is that it describes Waterloo Library as having "a full stock of books." It has about 7,500. A previous Head of Libraries advised that a local library needs a minimum of about 20,000 books to cater for all ages. Experience at Carnegie Library seems to confirm this. After years of much lower stock levels and lending, the stock at Carnegie Library was built up to 19,754 books shortly before Lambeth closed it in March 2016 and the rate at which books were lent was the fastest in the borough. Lambeth needs all ten of its existing libraries. It should really have more to provide an adequate service throughout the borough. Each library needs a good selection of books for all ages and a children's library in a separate room from the Adults' library. The Adults' library needs to include a Teen zone and the teens will only use this if it is well away from the Children's library and situated so that the teens do not feel the staff or other grownups are looking at them. The libraries need to be open sufficient hours, including some time in the evenings and at weekends. Libraries also need to be fully staffed by professional librarians and trained library assistants. An urban library is a particular kind of space and managing it to maintain a calm and welcoming character is a specialised skill. Further skills are needed to assist learners, computer users and people seeking information. Volunteers add greatly to the range of services on offer in Lambeth's libraries but they are only effective where there is a core of paid library staff. 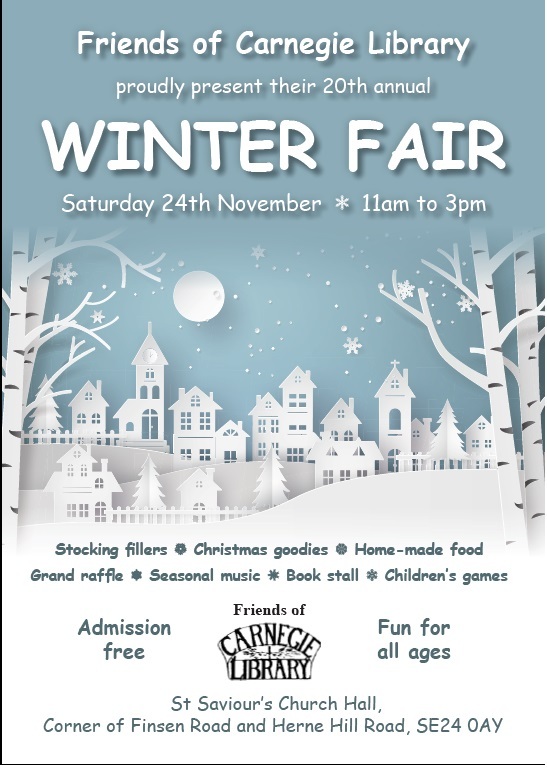 Carnegie Community Trust have also recently put some information on their website. They inform us that they will be taking an asset transfer from Lambeth during 2019 and imply that they will be taking charge of the ground floor and the first floor office space over the coming months. The posting calls for local people "to help to make the Carnegie Community Hub a truly community owned venture, a place the whole community can call their own." This is almost as misleading as "Neighbourhood Library." The Trust purports to be for the benefit of the community, hence its name. However, there is no reason whatsoever to expect it ever to be run by the local community. There is a range of opinions among libraries campaigners about how close the Trust is to Lambeth's inner circle of senior councillors. Some of us consider it to be just Lambeth by another name, the Council exercising power without responsibility. Others take the view that the Trust has a degree of independence. In any event it is clear that it is a thoroughly undemocratic organisation. Its constitution permits only its trustees to be voting members. The initial trustees were appointed by themselves at the behest of the Council and have the power to appoint additional or replacement trustees. The Trust prepared a three-year Business Plan. It published brief extracts from this in January and other bits of information at other times. Reading its recent posting in the light of these it seems reasonably clear that its main activity would be hiring out rooms in competition with local church halls. Additionally, it hopes to run a cafe even though the only kitchen in the building has been stripped out and is being converted into toilets. Also, they plan to hire out desk spaces. The Trust is trying to recruit volunteers to do almost all of the work needed but how the Trust could make its activities financially viable is a mystery even if it succeeded in recruiting sufficient people to put in the necessary hours for free, which seems unlikely. The Trust has obtained a grant to enable it to pay one employee for eight months and the trustees seem to think that they could generate income to continue to pay someone and to fund the other costs of the building. However, even if it is staffed entirely by volunteers a cafe is unlikely to generate substantial profits and room hires look equally unpromising. 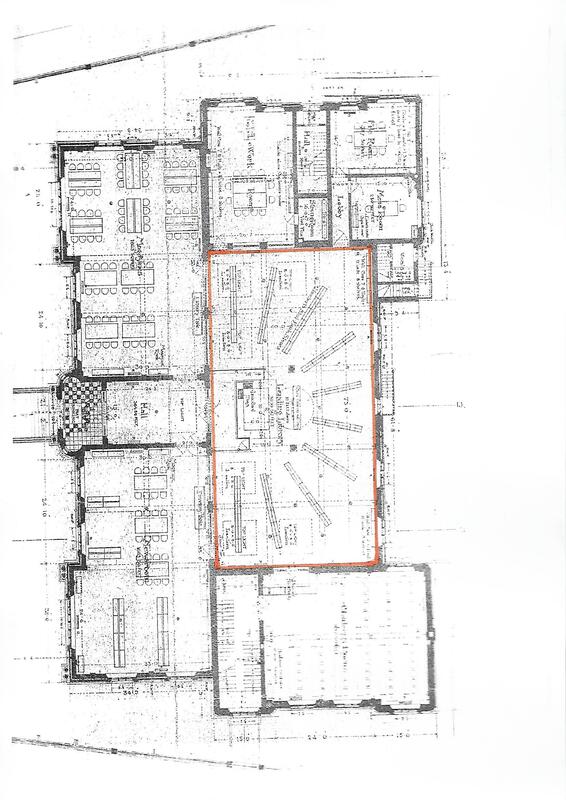 The main intended source of income therefore appears to be the proposed desk spaces. But there is a great deal of competition. This will no doubt intensify now Lambeth has arranged for International House, the office block adjoining Brixton Recreation Centre, to be used for desk space hiring. There is room for dozens of desk spaces on each of its eleven floors. There have previously been suggestions that the cafe would be a cafe bar serving alcohol into the late evening but this would need the grant of a licence over strong objections from the neighbours and so its feasibility looks doubtful. Lambeth appears to have promised a grant of £40,000 a year in lieu of the basement gym paying rent or making any financial contribution in respect of the building but this would only continue so long as the gym remained. As the gym has no prospect of financial success this would probably be only a matter of months. Thereafter the Trust would have the basement to rent out but the rent for a windowless basement in Herne Hill would no doubt be modest. The Friends obtained a professional rental valuation of £1.50 a square foot if and when a tenant could be found. It does not look as though the Trust's finances would work out. As some of our readers will be aware, two of the Trust's trustees have apparently fallen out with senior councillors despite many years of being fellow stalwarts of the right wing of the Labour Party in Lambeth. The pair insist that the Trust could only have a hope of paying its way if the subsidy were £80,000 instead of £40,000 and guaranteed to continue for at least five years. The posting refers to an Asset Transfer to the Trust possibly taking place in 2019. It is not entirely clear what is meant. The original plan was that Lambeth would relieve itself of any responsibility for the building by letting the whole of it rent-free to an organisation which, at least nominally, is separate from the Council. This is what would normally be understood by "Asset Transfer." However Lambeth now propose to retain responsibility for the building, letting the basement gym to Greenwich Leisure Limited and bearing all the losses of the gym. This would leave only the ground floor and the first floor office for letting to the Trust. This arrangement would enable the Council and Greenwich Leisure to terminate the basement tenancy at any time by mutual agreement. The Trust might be expecting the gym lease to end during 2019 and that it would then be given a lease of the whole building. Alternatively, "Asset Transfer" might just mean that the lease to the Trust would contain provisions included in Asset Transfer leases which enable the Council to forfeit the lease and take back the property when the tenant's finances appear to be failing.